Aneri Vajani is an Indian television actress. She is best known for her roles as Nisha Gangwal in the Star Plus’s Nisha Aur Uske Cousins, and as Saanjh Mathur in the Sony TV’s Beyhadh. She also did two episodic roles, Riddhi in Bindass’s Yeh Hai Aashiqui and Arushi in Zing’s Pyaar Tune Kya Kiya. 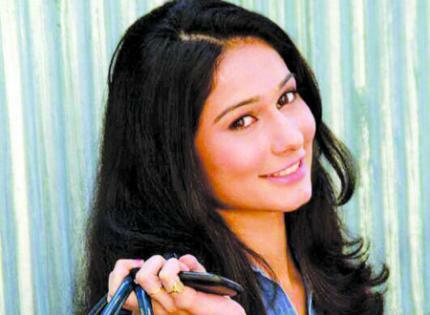 Born on March 26, 1994 in Mumbai, India, to parents Urmila Vajani and Devesh Vajani, she has one sister named Priya. She was educated at Seth Juggilal Poddar Academy and Kishinchand Chellaram College, Mumbai. She began her acting career in 2012 with the role of Paakhi in the Star Plus’s Kaali-Ek Punar Avatar. *She was born on March 26, 1994 in Mumbai, India. *She started her acting career in 2012. *She is a trained Bharatanatyam dancer. *She became the ambassador of clothing brand ‘Pasha India’.